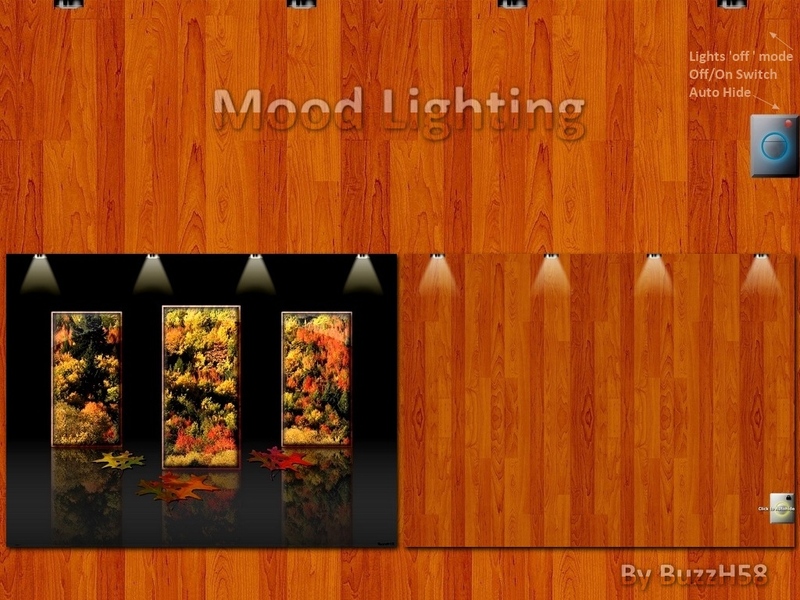 " Mood Lighting " widget - add a little ' ambiance ' to any wallpaper. The 4 down lights can be moved about separately - position them at top of desktop wherever you like. For ' Auto hide mode ' place the switch in any of the 4 corners and click on the small red button. You can also click the red button to lock the switch in place. Thanks very much for the comments guys, they're always appreciated. great concept and well executed, really nice buzz. I love this one, I have an old fashioned image of Angels playing a violin over a baby and I put the lighting over the angels and the baby, it looks so cool!